Welcome to the NavCoder website! View the ibus data in real time and in plain text! 90% of all ibus messages can be displayed in English. Code the Navigation computer (Mk2, Mk3 or Mk4) and set any setting you like. You can load languages, change from Mono to Colour nav or vice versa, adjust split screen mode, and change regional settings. Everything! Read the current coding and setup your navigation the way you want. Change the boot mode from Mono (as used in E46 mono navs) to colour-screen navs (as used almost everywhere). 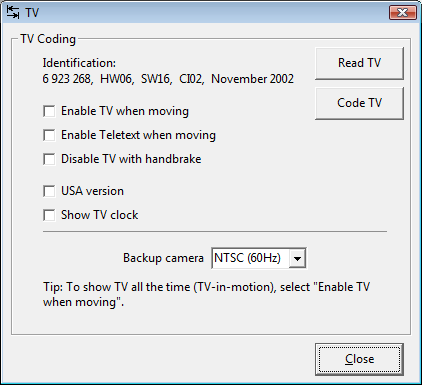 The very popular "TV in motion" setting is found here. You can also set your backup camera to PAL or NTSC - something that the BMW diagnostic software cannot do! Change area, set RDS options, and more. 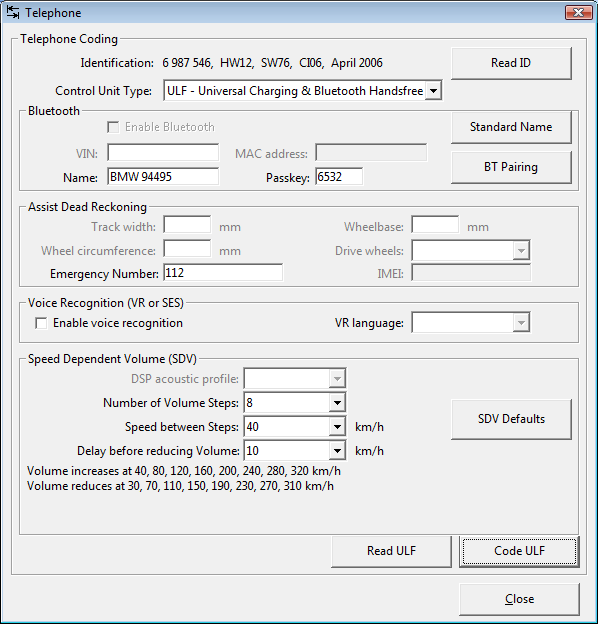 Did you know that ULF modules from Coding Index 05 have voice recognition built in? Code it with NavCoder! You can also save 5 commands into 5 function buttons. You can also enter any ibus command and decode it into plain text - very useful when developing ibus applications. Want to see the NavCoder history? I started NavCoder at the end of 2006, when I was doing a lot of repair work and upgrades on BMW nav systems. Read the Readme.txt file. Note: if you pay using the PayPal Buy Now buttons above, you will need to send me the displayed serial number in NavCoder, so that I can generate the registration code for you. If you pay using the Buy Now button inside NavCoder itself, then the serial number is automatically included in your payment to me. You can also pay by cash or bank transfer; contact the author for more details. 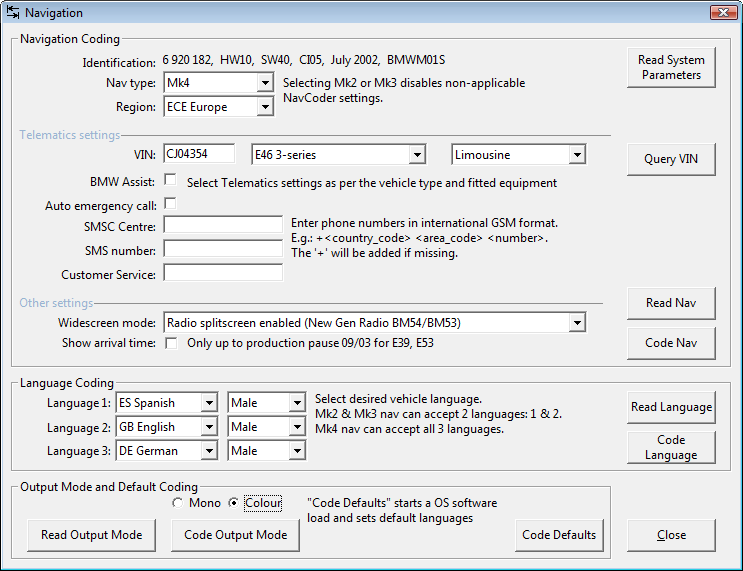 The non-registered version of NavCoder has some restrictions - some coding capabilities are disabled. NavCoder automatically checks for updates and will tell you when new versions are available. The registration stays valid for all future versions. To use NavCoder you need a laptop with Windows (anything from Windows 2000 to Windows 7; it may still work on Win95, but I cannot test it on Win95 any more) and an ibus interface. The ibus interface is the necessayr hardware interface to convert the electrical signal of the BMW ibus into good old RS232 for the laptop. You can choose to make your own ibus interface, using the circuit diagram supplied in the NavCoder installation directory. It's simple and cheap, costing much less than USD $10 in parts. Or you can purchase a "Resler interface" from Rolf Resler. Have a look at Rolf's website. Rolf's ibus interface is available as a USB version or a good old serial com port version. Choose what you want based on what ports your laptop has available. 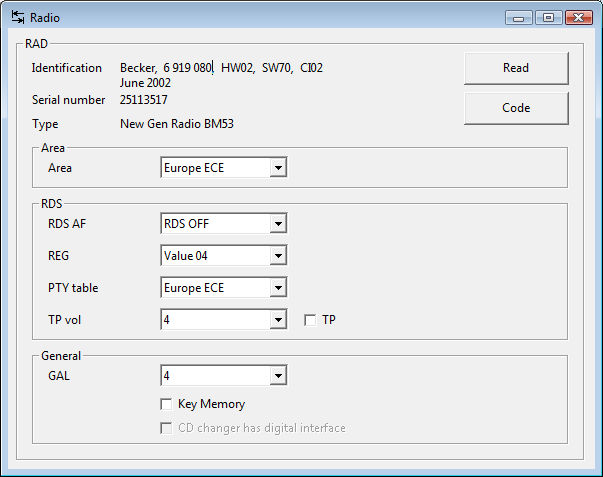 Both of the "Resler interfaces" are 100% compatible with NavCoder. BMW 8-series E31 (1989-1999) Limited Support! not much ibus in this vehicle! Each language is available as a plain-text LNG file. At least one LNG file must be present for NavCoder to work. You can choose to have all LNG files on your PC, or just the languages you use. NavCoder automatically detects the language of the PC, and configures itself to that language on first startup. However, you are free to change the NavCoder language to any other language (LNG file) currently installed on your PC at any time. If your language is not listed, and you would like to help translate NavCoder into your language, please contact the author. Got any questions? Email the NavCoder author.